Tranquil landscape, rich heritage, delectably delicious culinary fares, romantic destinations, stunning architecture and hub of art, Italy is considered one of the most enticing countries of Europe. The birthplace of Roman Empire as well as Renaissance, this country is said to have the most UNESCO Heritage sites in the world. There is so much to see and explore here- the enthralling vineyards of Tuscany, the pristine beaches of Sicily, the iconic canals of Rome, cobbled streets of Rome and the historical buildings of Florence. Italy’s charm has made travelers fall in love with it and so much so that they often keep coming back here! And still if you aren’t convinced then these 10 images will surely make you book your flights to Italy! Italy is a perfect vacation destination as it has a lot to gift you. And when you come back from this fascinating country you will be smitten by it. 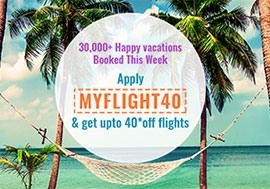 So, now that you are yearning for a vacation in Italy, book your tickets right away!